Extra Space self storage has been involved with the self storage industry for more than 30 years and has locations across the United States as well as with some international partners as well. Every self storage company is a little different, but you might be having a hard time telling them apart, let alone choosing the one that will best fit your needs. Here is a quick Extra Space self storage review to give you a better idea about whether or not they would your best option. Extra Space self storage has been rapidly expanding since its inception, however there has been a particularly large amount of growth over the past decade. Currently they have more than 820 properties in 34 states as well as Washington, DC. In total, there are more than 550,000 units nationwide which makes it the second largest self-storage management company in the country. One of the biggest benefits of using Extra Space self storage is the consistent commitment to security. One of the problems with many self storage companies is that the level of security can vary from one complex to the next. Extra Space has a fairly standardized set of security measures including on-site managers, electronic gates, and video surveillance. Plus, some units even include individual alarms. You can either use your own lock or purchase one directly from Extra Space. It has become common practice for most self storage units to specialize in or two areas of storage. 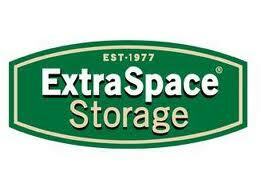 Extra Space provides a wide variety of storage options ranging from small, personal units to boat and RV storage. They also offer traditional units as well as climate controlled self storage options. This allows people to consolidate all of their off-site storage to a single location. Another unique policy that they use is the “Clean and Green” policy that not only ensures that the complex is clean, but also emphasizes eco-friendly practices whenever possible. Extra Space self storage makes a conscious effort to place all of their locations near major streets and highways so that it is easily accessible regardless of where you are driving from. While this isn’t always possible, a majority of the locations are exceptionally easy to get to. Plus, the design within the complex is very vehicle friendly whether you are using a car, moving truck, RV, or hauling a boat. If there are any potential drawbacks of using Extra Space self storage, it would be for people who live in the western part of the country (and not in a major city). In some states, there are minimal, if any, rural locations. Overall, Extra Space self storage seems to be a very reliable and well liked self storage option. They offer very convenient locations, a wide variety of unit sizes and styles, and some of the best self storage security in the industry. While in certain areas finding a location can be difficult, if one is nearby it should probably be one of the options that makes your short-list of potential candidates.